Laini Taylor is the New York Times bestselling author of five novels: Days of Blood & Starlight, Daughter of Smoke & Bone, the Dreamdark books Blackbringer and Silksinger, and the National Book Award finalist Lips Touch: Three Times. She lives in Portland, Oregon with her husband, illustrator Jim Di Bartolo, and their daughter, Clementine. Her website is www.lainitaylor.com. National Book Award finalist Taylor (Lips Touch: Three Times) again weaves a masterful mix of reality and fantasy with cross-genre appeal. Exquisitely written and beautifully paced, the tale is set in ghostly, romantic Prague, where 17-year-old Karou is an art studentâexcept when she is called "home" to do errands for the family of loving, albeit inhuman, creatures who raised her. Mysterious as Karou seems to her friends, her life is equally mysterious to her: How did she come to live with chimaera? Why does paternal Brimstone eternally require teethâespecially human ones? And why is she "plagued by the notion that she wasn't whole.... a sensation akin to having forgotten something?" Taylor interlaces cleverly droll depictions of contemporary teenage life with equally believable portrayals of terrifying otherworldly beings. 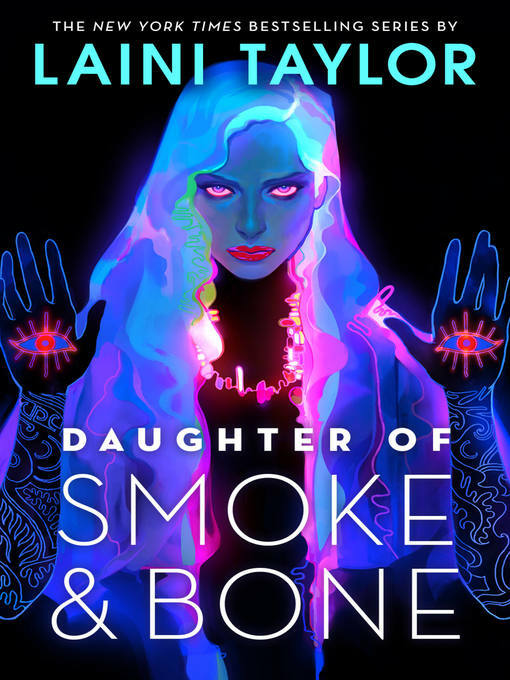 When black handprints begin appearing on doorways throughout the world, Karou is swept into the ancient deadly rivalry between devils and angels and gradually, painfully, acquires her longed-for self-knowledge. The book's final pages seemingly establish the triumph of true loveâuntil a horrifying revelation sets the stage for a second book. Ages 15âup. A love thought lost proves anything but when another world's 1,000-year war spills over into this one. 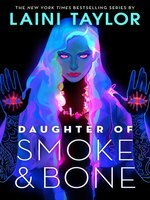 Seventeen-year-old Karou leads a double life: as an art student in Prague with normal boyfriend troubles—and as a runner of bizarre errands for Brimstone, a scarred and saturnine sorcerer with the head of a ram and the lower body of a dragon. With similarly chimerical associates, he has raised her from infancy and dispatches her through magic portals to destinations all over the world. She knows nothing of her past or purpose—until a sudden, fiery closure of all the portals cuts her off from the only family she's ever known, and an initially violent but ultimately "sweet and beckoning collision" with winged, inhumanly beautiful Akiva leads to revelations of an ancient conflict between Seraphim and the supposedly bestial Chimaera. Switching points of view and settings, Taylor then fills in a back story that links Akiva and Karou in an older tragedy, while planting seeds that might lead ultimately to peace. The plot hinges on major contrivances, but along with writing in such heightened language that even casual banter often comes off as wildly funny, the author crafts a fierce heroine with bright-blue hair, tattoos, martial skills, a growing attachment to a preternaturally hunky but not entirely sane warrior and, in episodes to come, an army of killer angels to confront.